Whether it's an anniversary, birthday or group holidays with friends, discover somewhere new and celebrate in style. for a unique and special occasion. Whether it’s a girls or lads weekend, special birthday, anniversary or engagement, we have the perfect locations and resorts to suit your special celebration. Have you or your loved one got a birthday coming up? Whisk you and your partner away on a holiday they will treasure for a lifetime. Celebrate with a stylish, luxurious and truly memorable experience at one of our divine hotels for a birthday unlike any other. Situated directly on the beachfront, W Barcelona is the perfect destination for a luxury birthday getaway close to home. With an array of impressive facilities including gourmet restaurants, stylish pools and luxurious accommodation, W Barcelona is one our favourite hotels for a special birthday celebration. Relax and enjoy special pampering on your birthday at the resort’s Bliss Spa, the perfect end to a day spent exploring the city of Barcelona. Whether it’s a Stag do, Hen party or simply a holiday away with friends, make your holiday one to remember with our exciting locations. 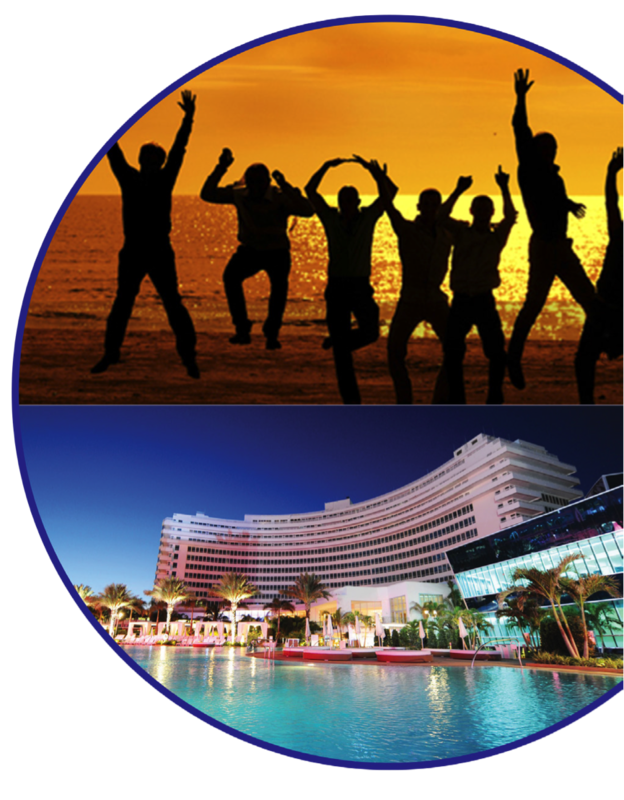 Place bets, party and play in Las Vegas, soak up the sun, music and fun times in Cancun for Spring Break or be pampered and rejuvenate in Bali or Thailand for an ultimate girls holiday. Located in the heart of the party city of Miami, Fontainebleau is the perfect destination for a holiday full of partying with friends. You won’t have to venture too far as LIV, one of Miami’s biggest nightclubs is under the same roof. Book you and your friends a beach or pool cabana and enjoy private bar service whilst listening to pumping pool music from Fountainbleau’s resident DJ. Relax and enjoy that blissful newlywed feeling as a married couple on your dream honeymoon. Your honeymoon is one of the biggest holidays of your life, so ensure it is a holiday to remember. Plan your dream honeymoon today at one of our luxurious locations around the world. Kuramathi Maldives is a relaxing retreat combining turquoise waters and white sandy beaches fit for a honeymoon or romantic getaway. This All-Inclusive resort has a private honeymoon pool villa, offering newlyweds an authentic island retreat with excellent complimentary extras including a four-course candlelit dinner. You will be spoilt for choice with an extensive all-inclusive package, providing access to 7 à la carte restaurants and 3 buffet restaurants. Celebrate your anniversary with your loved one and relive your dream honeymoon at any one of our luxurious locations around the world. Perched on the hillside, with crystal waters and sparkling sands, Banyan Tree Seychelles is an Indian Ocean dream and the perfect romantic retreat for your anniversary. Treat you and your loved one to something special as you celebrate your love for one another at this intimate hideaway with divine spa treatments and romantic dinners in your own private villa. 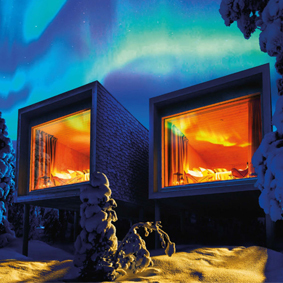 Experience the natural beauty of the Arctic Circle where designer suites are set amongst the treetops, sensual spa treatments will leave you feeling brand new and Santa Claus lives just a stone’s throw away.